Check It Out: 'The Human Face Of Big Data' : 13.7: Cosmos And Culture As I venture into new fields (like thinking about physics and cities) I become more astonished at Big Data's capacity for revolutionizing the way human beings organize themselves for better or for worse. 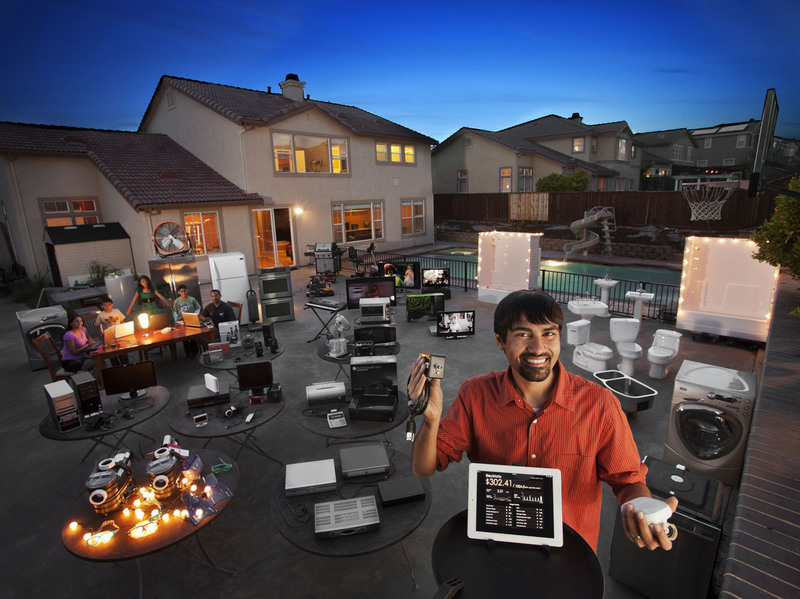 Shwetak Patel (foreground), a MacArthur Fellow, recognized that every device in a home has a unique signature that can be used to track energy usage. The data collected by Patel's system showed that digital video recorders were responsible for 11 percent of this home's power use, just one example of The Human Face of Big Data. I am just starting to dig into a beautiful new book/project that I wanted to pass along to our 13.7 readers. Its called The Human Face Of Big Data and it is a remarkable attempt to capture the profound transition we are all living through. Big Data ends where it begins — with people — when those numbers, generated by all of us, improve all our lives. The Human Face of Big Data tells the story of that circle, and your role in it. Big data is detecting earthquakes in tsunami-prone Japan, keeping traffic flowing on America's highways, foiling counterfeit pharmaceuticals, battling mosquitoes from outer space, and providing citizens in the developing world with much-needed identity documents. I think 50 years from now big data will be invisible like telephones are now, and really just a part of everyday life. Like all pervasive technologies, things ultimately disappear into the background, like telephones, for instance. In 50 years, that's what I think big data will be: pervasive to the point where we're not talking about it any more. It will become part of everything, woven into every aspect of how the world works. The Human Face of Big Data is definitely worth the time documenting a change that will eventually bring change to every one of us.